Make international friends as you embark on this memorable Canada bus tour through famous national parks including Banff and Jasper, and spot wildlife in gorgeous wilderness areas of the Canadian Rocky Mountains. On these guided tours of Canada, you will come face to face with North America’s rarest wildlife, hike through the most scenic Rocky Mountain wilderness, and tour many famous national parks on board our minibus. The itinerary below (subject to minor changes) through British Columbia and Alberta includes countless stops at scenic locations that will leave you with unforgettable impressions of the highly variable Canadian landscape. These minibus tours begin in Seattle, Washington (in USA) a modern, pedestrian friendly harbor city situated on Puget Sound, a Pacific Inlet. Seattle is the ideal starting point for our Canadian journey, being less than an hour away from several Rocky Mountain national parks. We immerse ourselves in the breathtaking beauty of Vancouver Island and the Inside Passage then continue on to explore Banff and Jasper National Parks, declared as UNESCO World Heritage sites. Connecting Jasper National Park and famed Lake Louis is the unique Icefields Parkway, where wandering herds of deer and the occasional mountain goat, and even bears, can be seen. 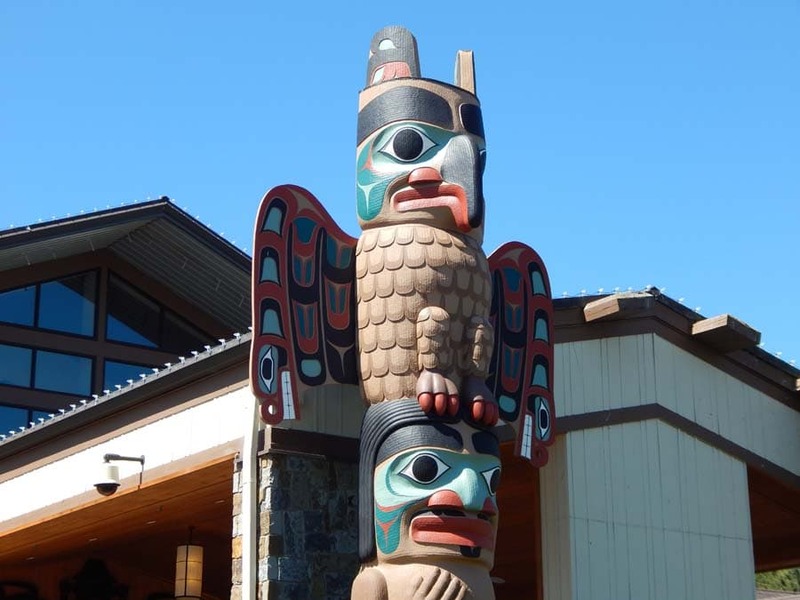 This tour combines travel along the Pacific Coast, mountain scenery, waterfalls, Native American and pioneer heritage museums and temperate rain forest for a unique immersion in Canada’s past and present. Interested in Western Canada natural journey through British Columbia and Alberta? Contact us today! Our professional team– the tour guide and the driver– will greet you in the lobby of our base hotel in Seattle in the later afternoon. You will receive your tour materials including daily itinerary hotel list, and maps, and get to know each other at dinner in a nice restaurant. Short City tour, Seattle by night. This morning you leave Seattle by ferry to Bainbridge Island, enjoying scenic Puget Sound. You explore historic Port Townsend with its many unique Victorian homes. Weather permitting, you visit Olympic National Park and drive up to Hurricane Ridge with incredible views over the Olympic Mountains. Short hikes over flowery mountain meadows. Night in Port Angeles. Today, you explore more of the Olympic National Park, including its unique temperate rainforests and rocky Pacific coast line. Relax in the mineral baths at Sol Duc Hot Springs. In the evening you catch the ferry to Victoria on Vancouver Island, Canada. Victoria is the beautiful capital of British Columbia. This morning you explore the unique city-with-the-British-flair, Victoria. If you wish, you may choose a superb whale-watching tour as an optional morning activity. In the afternoon you continue on to Duncan to view its many totem poles. Depending on timing, you will visit the Native American Heritage Center for a tour. you see fascinating murals in the little town of Chemainus. 2 Nights in Port Alberni in a bed & breakfast lodge. In the morning you wander through a rain forest among 67-meter high Douglas Fir trees. A scenic drive over the Pacific Rim Highway through mountains and along pristine lakes leads to the open Pacific Ocean. Here you experience a breathtaking mixture of mountains, coastal rainforests, and sandy beaches on a hike through Pacific Rim National Park, a designated UNESCO Biosphere Reserve. In the afternoon, you stroll through Tofino, a small fishing town with tempting art galleries and good coffee shops. Before driving back to Port Alberni. 2nd night in Port Alberni. This morning we take the ferry to Vancouver. Explore Stanley Park with its giant totem poles and perfect view over the city of Vancouver. The afternoon includes a tour of Fort Langley National Historic Site, a former fur trade post of the Hudson’s Bay Company. Langley itself is a lovely historic town with many galleries and antique shops, perfect for browsing. Spend the night in Langley. Enjoy a short hike through an abandoned historic train tunnel which runs along an impressive canyon with expansive views. We head on into the heart of the Canadian Cascade Mountains and the picturesque Manning Provincial Park. Here we hike around a lake which is often frequented by a variety of wildlife, including the occasional bear, so keep your eyes peeled in the hopes of seeing one! Picnic on the lake shore. After a relaxing lunch we travel to the lower elevation, where the climate is ideal for the many vineyards that grace the Okanagan Valley. 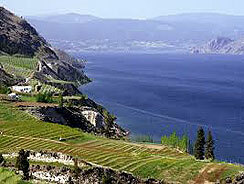 Enjoy wine tasting at a local winery, then spend the evening on the lakeshore of Okanagan Lake, over 200 miles long, where you can enjoy a swim from the sandy beach. We spend the night in Kelowna. In Vernon we visit the historic O’Keefe Ranch, dating back to Pioneer times and providing a fabulous step back in time! With many displays and different buildings to view you can gain insight into the history of the area and the cowboy lifestyle. Later we stop at the Quw’utsun’ Cultural center to learn about the history of the Native residents of the area, complete with an interesting collection of artifacts and lovely grounds. Drive on the Yellowhead highway through grasslands and along the Thompson River to Clearwater, where we spend the next two nights at a small hotel directly on the lakeshore. Today you can participate in an optional kayak tour on Clearwater Lake. 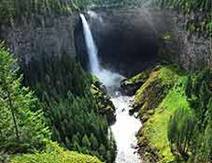 At Wells Gray Provincial Park you do some nice walks and view spectacular water falls, including Helmcken Falls, Spahat and Dawson Falls. With a bit of luck, you will catch glimpses of wild animals, including deer, moose, and bears. 2nd night in Clearwater.